Could Your Oral Health Be Linked to Alzheimer’s? Elder Care Rochester NY-A study found that people with gum disease had a 70 percent higher chance of developing Alzheimer’s. 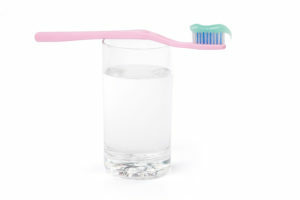 The link between oral health and Alzheimer’s seems to be a strong possibility. Senior Care Rochester NY-Here are some tips that caregivers can share to encourage others to pay seniors with Alzheimer’s disease a visit. Is Caring for the Elderly Really as Difficult as Some Say? 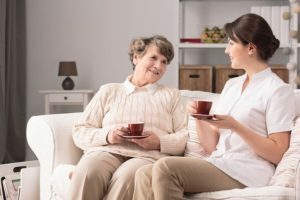 Home Care Rochester NY-Whether you decide to provide the bulk of your mom’s care or not, home care services will improve your family’s lives. Home Care Penfield NY-An important point for anyone who is considering becoming, or is, a family caregiver for an elderly adult who is living with Alzheimer’s disease, and that is that this role is extremely challenging and can put your own health and well-being at risk. Homecare Pittsford NY-Due to the changes occurring in your parent’s brain from having Alzheimer’s disease, their vision may become distorted and result in seeing things that aren’t really there, although they appear quite real to your parent. Elderly Care Henrietta NY-Recent studies have suggested that there is a link between what we eat and the development of Alzheimer’s. Homecare Perinton NY- Alzheimer’s is not a part of the natural aging process at all, and it is not simply a memory problem. Alzheimer’s is a progressive form of dementia that steadily gets worse over time. What Rights Does Someone with Advanced Alzheimer’s Have When It Comes to Care? Home Health Care Greece NY-Important questions arise when a family member has been diagnosed with Alzheimer’s or some other form of dementia. If you don’t explore these questions you may not understand what to expect as the disease progresses. What Are the Signs of Caregiver Stress? 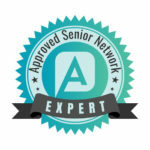 What Causes Anxiety in Elderly Adults and How Can I Help?